As I entered hangar one I was gobsmacked at the types of planes suspended from the air. We passed Concorde, Harriers and even planes from as early as World War I. Most of the planes were old and not much use to us now, but it was brilliant to see them. We even went inside Concorde’s test plane - it was great. 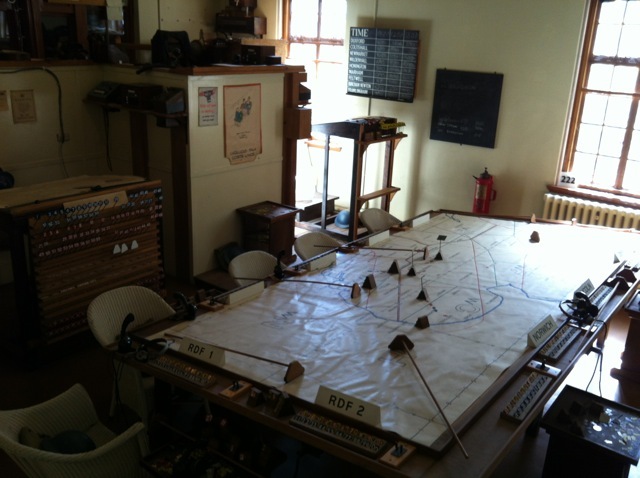 After seeing everything downstairs we moved to the interactive room, it was really good and I even worked out how to pilot a spitfire in an interactive game. There were lots of things to do at Duxford. Overall, Duxford Imperial War Museum was definitely an amazing place to go as it is different from the theme parks around the country. It is definitely a fun day out for all the family. Thank you for a brilliant day!!! On Monday we went to Duxford. First we went in Hanger one and I was surprised how big Concorde was and I was really excited because we were going inside. 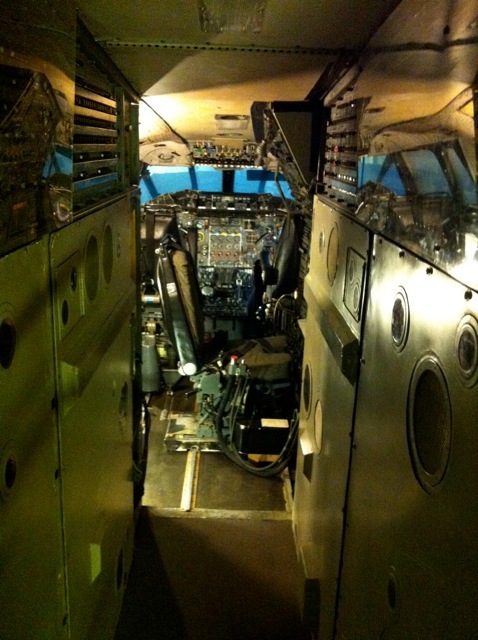 In Concorde there were millions of wires and controls, you would have to be a very experienced person to be a pilot. The huge engines must be very fast! 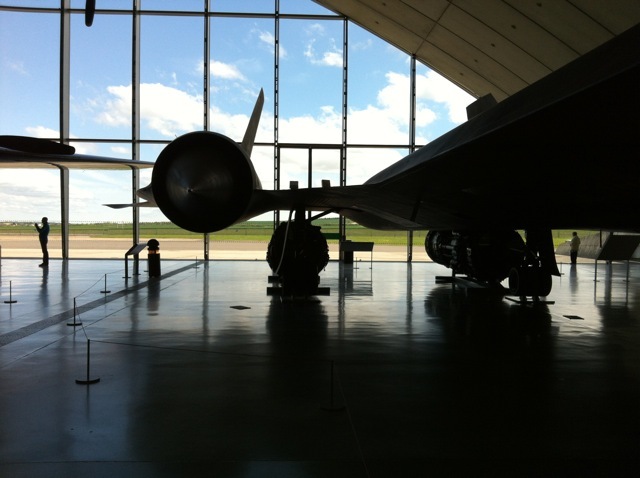 We saw Blackbird, the fastest plane in the world I think .It was a shame that some of the planes have stopped working. Duxford was great because it had planes as well as tanks. There were big planes, for example: Concorde and a Sunderland flying boat! At the start, we put our lunch in ‘eating space’ and had a look around at the many planes. Then we went upstairs where we took part in many activities. When I entered Hanger 1 I was gobsmacked because of the size of the planes, they were massive! I saw loads of really famous planes (I found this out because Mr Pearce was pointing them out). Whilst going ‘wow’ at every aeroplane, we actually got to go on a plane called Concorde! When we were on Concorde I realised that it was bigger than I thought, it was a brilliant feeling being on it. We also saw an old RE8 and a Spitfire (which is my favourite plane of all time). On Monday we went to Duxford. We saw a lot of war planes, it was really fun. Later on we got to hold a gun and it was quite heavy. We also put on some of the clothes the soldiers wore and they were really heavy. We went on Concorde, I was amazed at what it looked like inside. This was my first visit to Duxford. I was very happy. We all went to Hanger one to see the aeroplanes. We all had clipboards to write about the planes. We saw inside a Concorde. 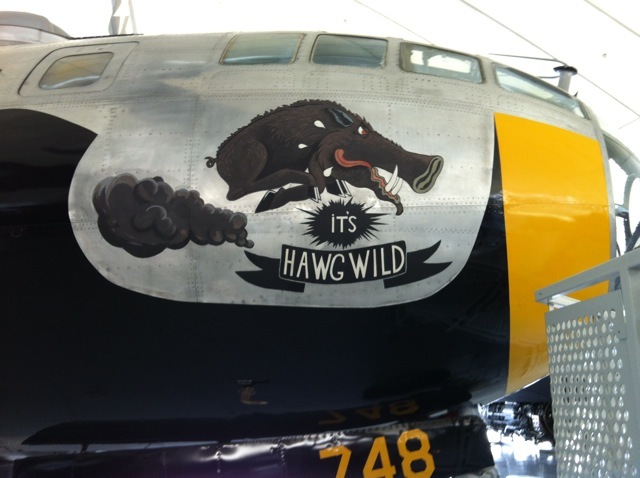 On Monday we went to Duxford War Museum to see all of the planes and other things that they keep there. When I got into Hanger 1 I was really amazed at how many planes were crammed into one space and yet you could see them all really well. Concorde was really cool and really long, however very thin. My favourite part was when we were in the American Hanger because I saw Blackbird (the fastest plane in the world) and lots of other cool American planes. 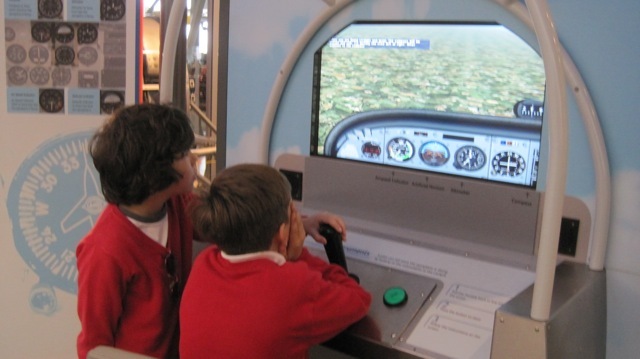 To start off the week, Years 4 & 5 (and some from Year 6) went to Duxford. My first impression of Hanger 1 was outstanding, seeing as I had never been there before. My favourite part of the day was going on Concorde. For me it was one of the best trips by far. When we arrived at Duxford War Museum I felt excited. When we went into the museum I first saw a giant rocket. After we saw the rocket there was a large door to more aeroplanes and helicopters. In the first hanger there was Concorde. I thought that there were many planes from France because of the red, white and blue, but they were made in the UK. I was really excited when we went to the other hangers. I really enjoyed the trip and wish I could go ten more times. I wishes that we could fly in a plane. On Monday we went to Duxford. We went into Hanger 1 and I felt like my eyes would pop out at how many planes there were. I was amazed that they put a tank outside the entrance and a Spitfire! I was stunned that they let you hold a grenade! To start the week we went to Duxford. When we got there we were put in groups. First of all we went in Hanger 1 and looked at the small planes. I felt very small compared to the planes, I was very small! My favourite part was looking at all of the tanks in Hanger 8. My first impression of Duxford War Museum in Hanger 1 was WOW! This was because I didn't know you could fit so many aeroplanes in one room. I thought that the interactive games were really fun. At the end my group and I went on Concorde and it was great! My favourite part was |Hanger 8, the whole of it. It had loads of tanks and artillery. Part of it was about D-Day where you could hold equipment that the soldiers had with them like sub-machine guns and rifles! The tanks were not just English, but from all over the world. When I stepped into Hanger 1, I was amazed at how many planes there were. The way that they were arranged was a bit weird because planes were supported above other planes. The planes looked very expensive! 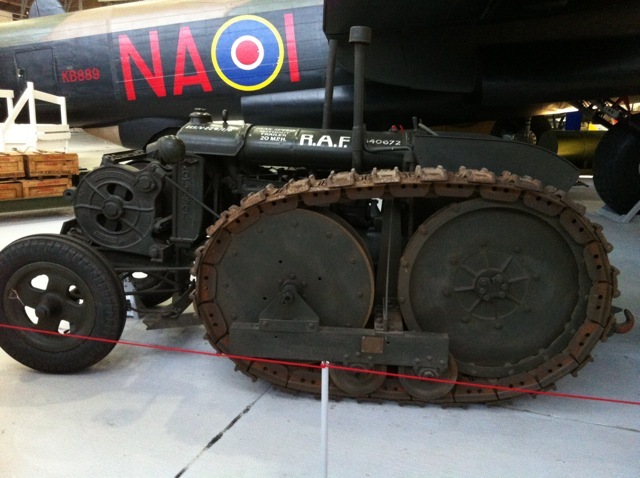 When we went to the war museum in Duxford, I felt very excited. I happily walked into Hanger 1 and wanted to see everything at once, but I didn't want to miss anything! We got to play on some science 'games' upstairs. My favourite part was when I saw planes going up in the air, really fast, and doing loop-the-loops. I enjoyed watching the planes because they also came down swiftly and went up swiftly too. The planes were very noisy, but I didn't mind because they were so cool! On Monday morning we left Earl Soham full of enthusiasm! After what felt like forever, we finally arrived at DUXFORD! As we entered Hanger 1, all I could say was 'Wow!' There were planes everywhere. One of my highlights was actually going on Concorde. Another highlight of mine was seeing two planes take off and land and we saw one plane do seven loop-the-loops. They were old planes as well! I also loved Hanger 8, it was my favourite hanger. Two days ago we went to Duxford Museum and we were in groups. When I went into Hanger 1 (which is a big room full of planes) I was shocked at how many gigantic planes were put in that amount of space. The biggest one of all, I think, was the Sunderland - also it could go on water. There was also a folding helicopter!!! Now that was ace, man, literally ace, man. I loved it! But best of all was the whole trip, I loved it. It was really fun and that's why I want to go there again. When we were on our way to Duxford, my heart was racing. Once we were there, I was desperate to look inside. Hanger 1 was amazing ; it had everything I could imagine. My favourite part of Hanger 1 was Virgin Galactic. It is two aeroplanes - plane one brings plane two into high altitudes (85,000ft) then plane one releases plane two. Plane two then goes up to 400,000ft. It was amazing! My favourite part of the trip was the land warfare. You could see all of the artillery guns, weapons and tanks. They even showed a German 'Tiger' tank from World War II. My best experience yet! 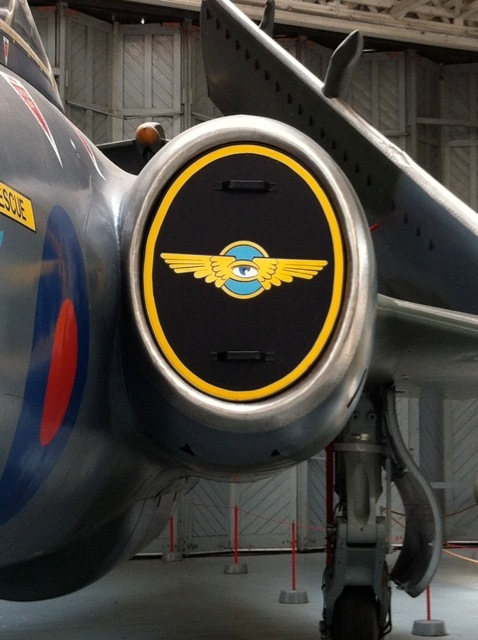 To begin the week we went to Duxford Imperial War Museum. In Hanger 1 we looked at all the fantastic aircraft, such as Concorde, which we also went on. We went to the army section where there were British and German tanks. They were really big. One of my favourite bits was when I got to hold some real guns from World War II. They were very heavy - imagine running around in the wet with a really heavy gun and heavy gear? At the beginning of the week we went to Duxford. In section one I felt surprised when I walked in because of how big Concorde was. I was excited because of all the different colours on all the planes and all of them would have been really hard to pilot. Some of the planes were held together with wire, they were older than the others. I think that the bigger planes could go faster - I was amazed at the different sizes and sorts. My favourite bit was going in Concorde and looking at Concorde. 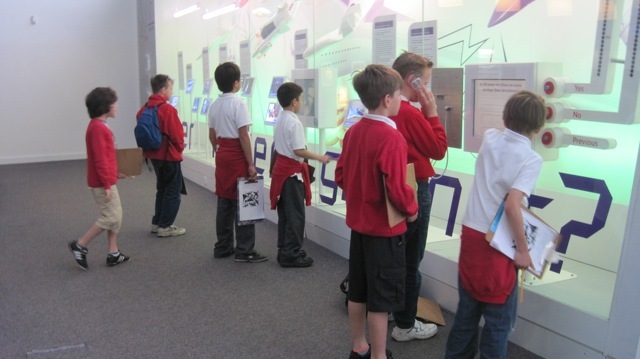 On Monday we (Blue Class) went to Duxford Imperial War Museum. It was the best school trip I've even been on. My group (Eddie, Katie, Elinor, Joanne and myself) into Hanger 1. I thought that it was EPIC! It was epic because Concorde and the Harrier jump jet were there. We went on Concorde, it was huge! 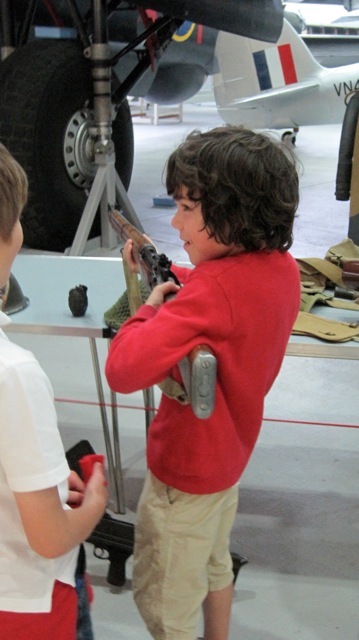 On Monday, Years 4, 5 and 6 went to Duxford Imperial War Museum. As soon as we entered Hanger 1, I was amazed. There were so many planes! There was Concorde there too and we were allowed to go on it! It was very cramped. My favourite part of Duxford was probably the whole of Hanger 8. It was all the land warfare things like tanks and jeeps. It was really interesting! Overall, I would say that it was an UBERbrilliant day - the best school trip I've ever been on. 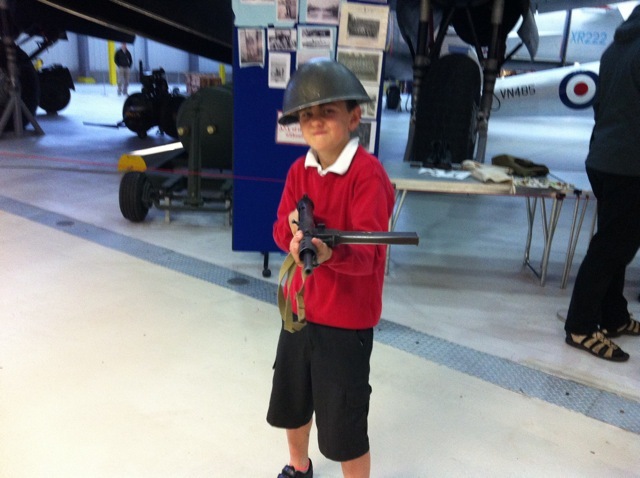 On Monday, me and my class went to Duxford Imperial War Museum. When I entered Hanger 1, it looked like hundreds of planes. 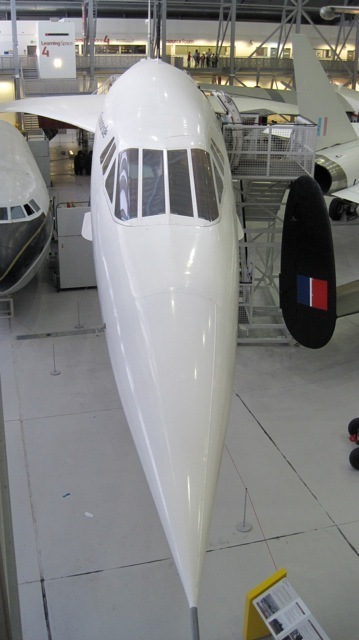 My favourite in Hanger 1 was Concorde. Out of the whole site my two favourites were the Spitfire and the Vulcan. I thought that it was the best school trip that I had been on. There was one problem though, there wasn't enough time to see everything in the hours that it's open for. My favourite hanger was Hanger 8 because it started from World War I and carried on to the weapons that we use now. On Monday 30th April, Blue Class left school full of enthusiasm and excitement. We were leaving for a well known museum named Duxford! There weren't many of us because 13 Year 6 children have gone on holiday. When we arrived we got into our groups. I was with Katie, Elinor, James, Eddie, Mrs Johnson and Mr Perry. We entered Hanger 1. I stared up at the ceiling, gobsmacked. We all raced up the stairs to see more. There was a variety of planes hanging up in the air.There was Concorde, a Lancaster bomber, a Sunderland flying boat, an RE8, a Hastings and a Harrier jump jet. There were a lot more, but I can't remember! Then our our group played with the activities upstairs. We all moved on to the next thing, the Concorde! We went inside and looked at everything. 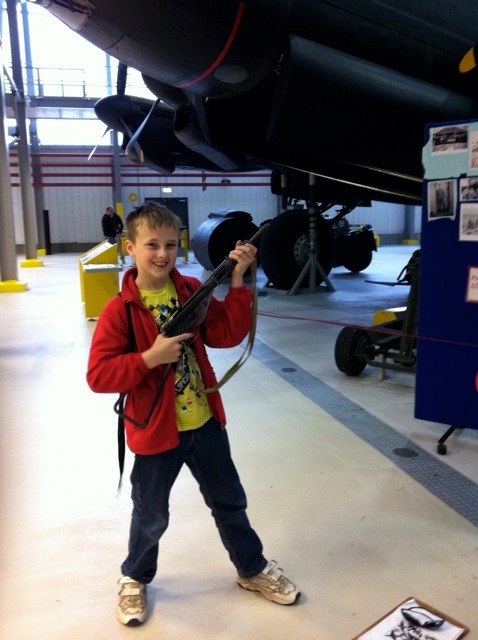 Everyone enjoyed themselves and loved our trip to amazing Duxford. At the begnning of the week we went to Duxford. When we walked into hanger 1 we saw lots of planes that I did not know. Our group was Jan, Sam, Zach, William and Harry N. Also in Hanger 1 we played games and pressed buttons to make things move. I was so excited that I went back there later. I loved it! Please leave us a comment below. It will be sent for moderation and should be displayed on the site soon.